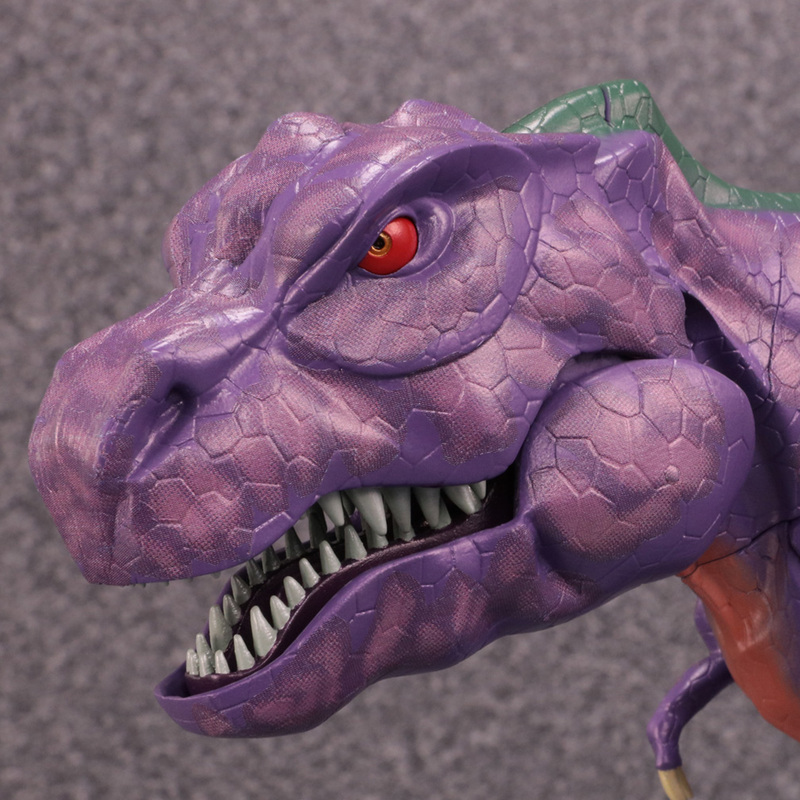 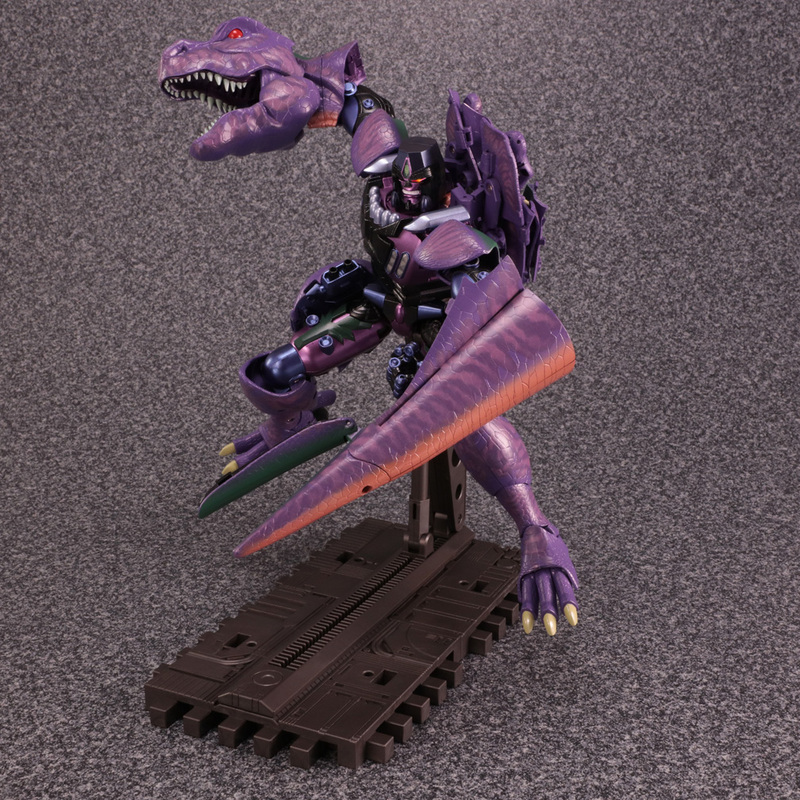 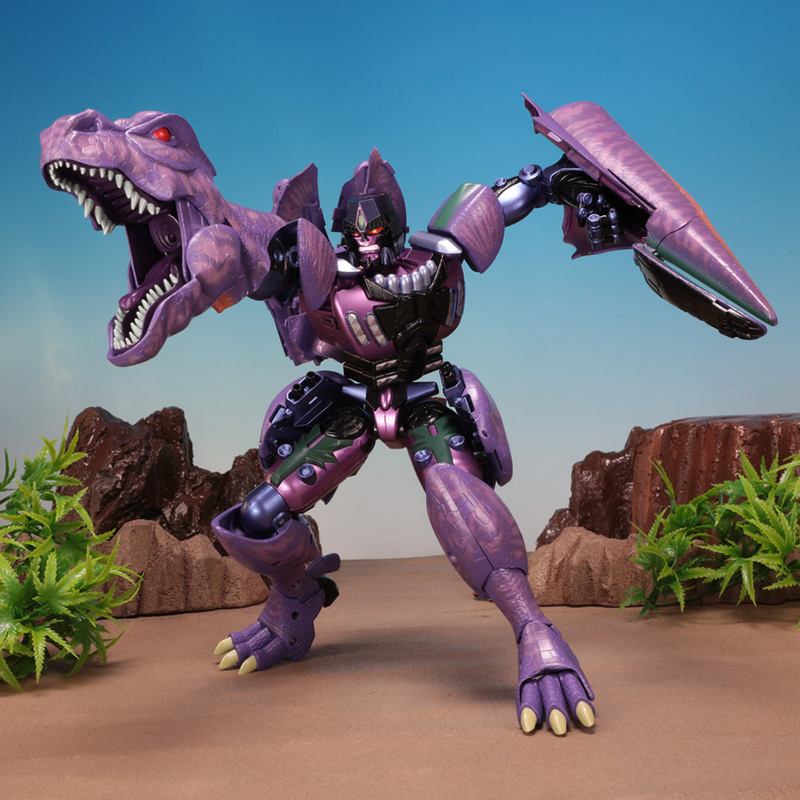 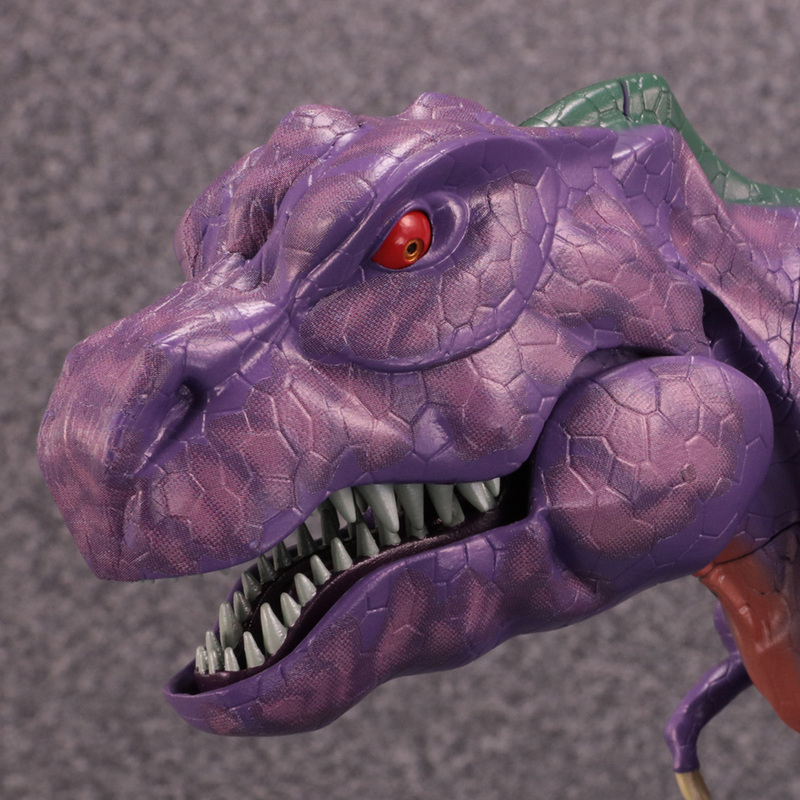 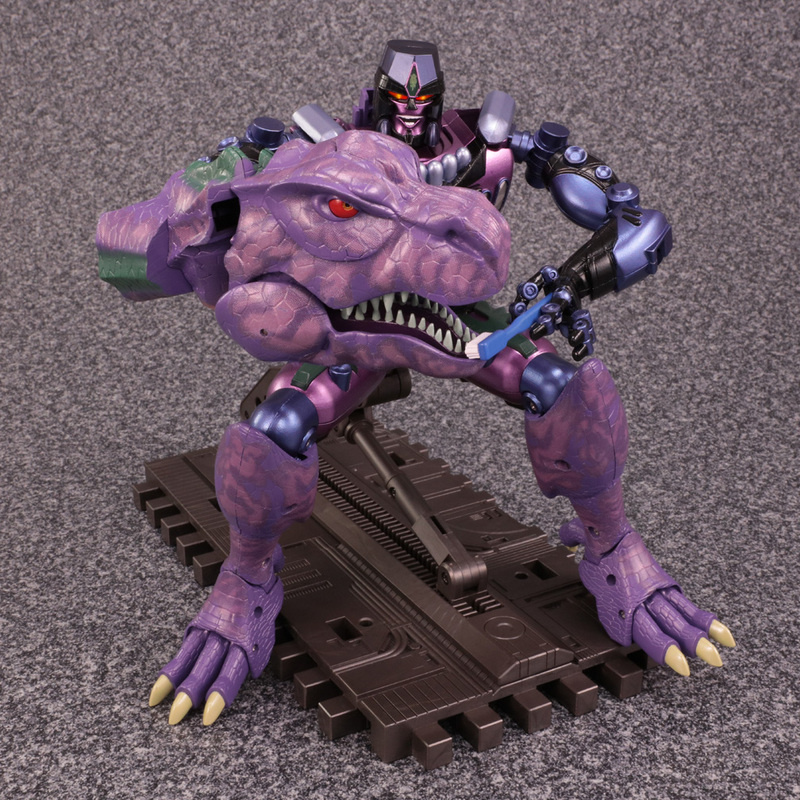 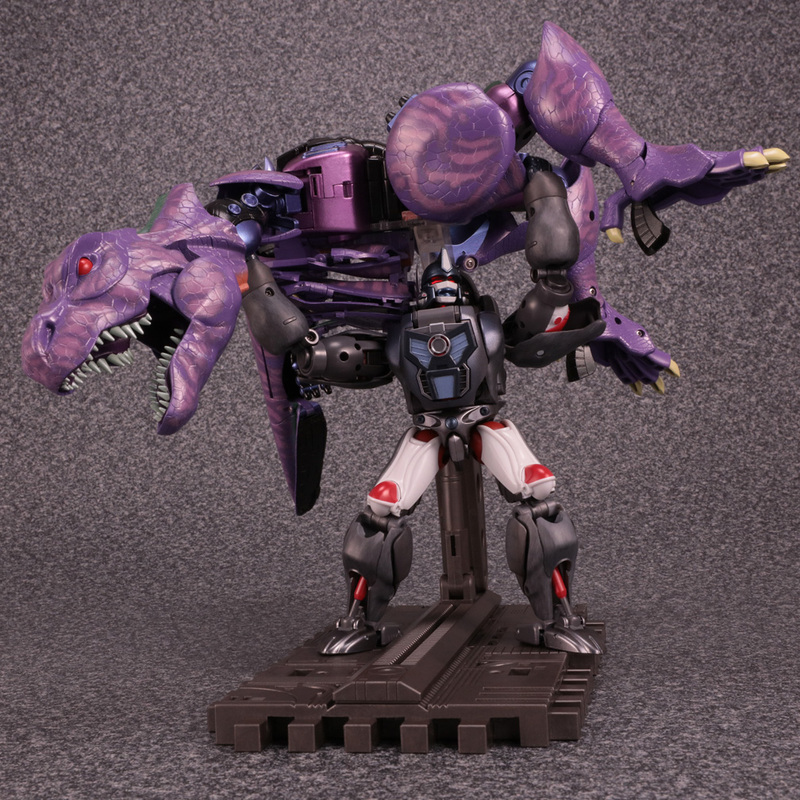 Masterpiece Beast Wars action figure series welcomes Decepticon's Emperor of Destruction Megatron! 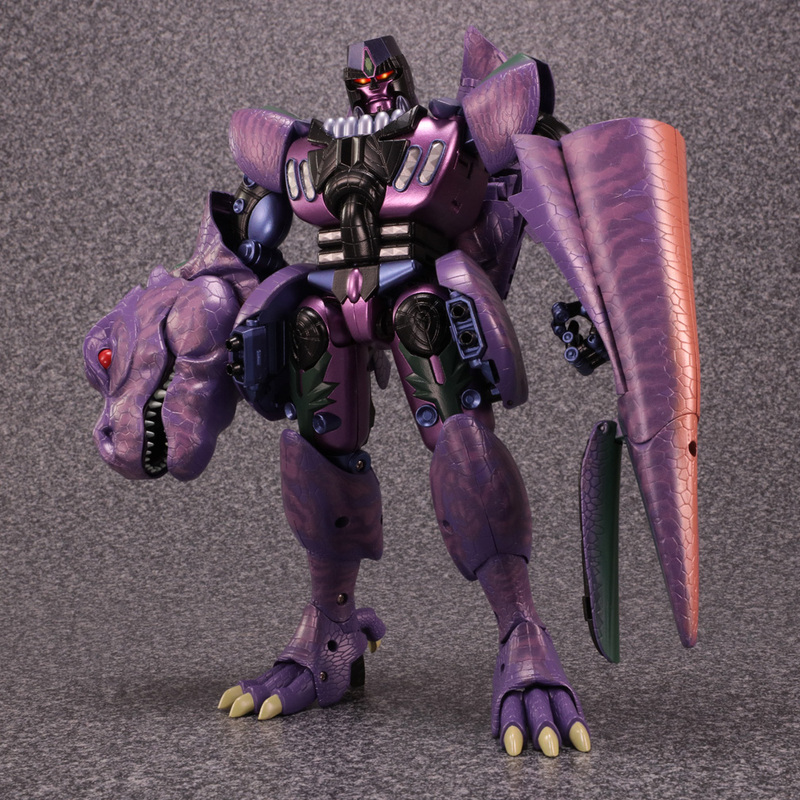 Megatron's beast transformation to the strongest dinosaur the tyrannosaurus, the stylish body that is proudly the largest of the initial members of both sides, and the unique intense voice has all been included in this new figure to Masterpiece. 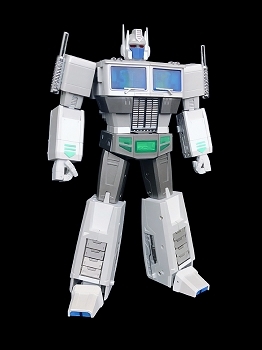 Even the small details of the shape and proportions from the cartoon have been recreated. 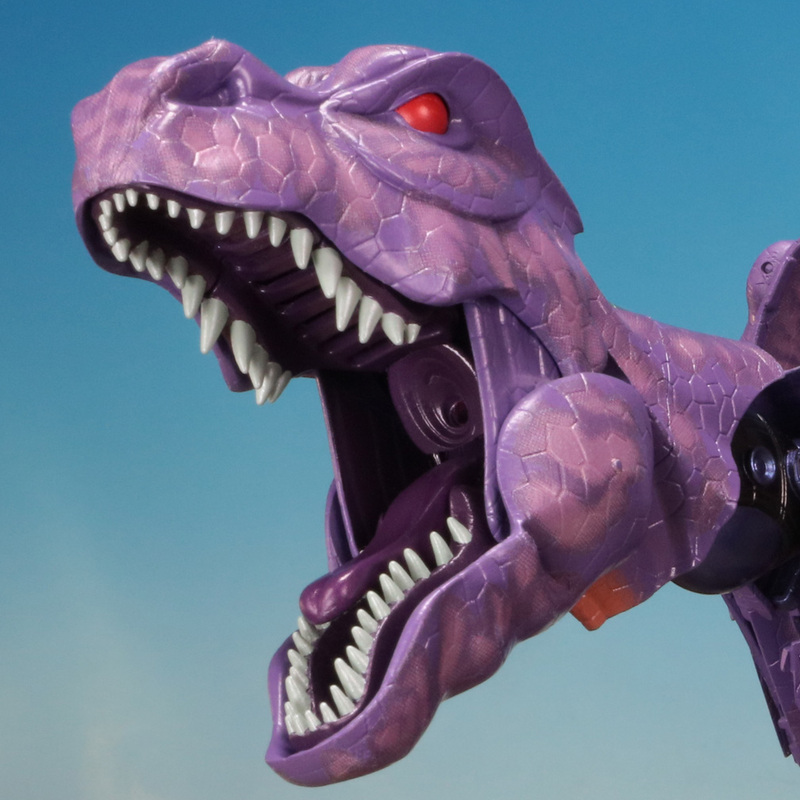 That the mecha parts are not exposed in beast mode, the mold color, the paint, and the tampo printing all come together to give the dinosaur skin the proper essence and the highest quality. 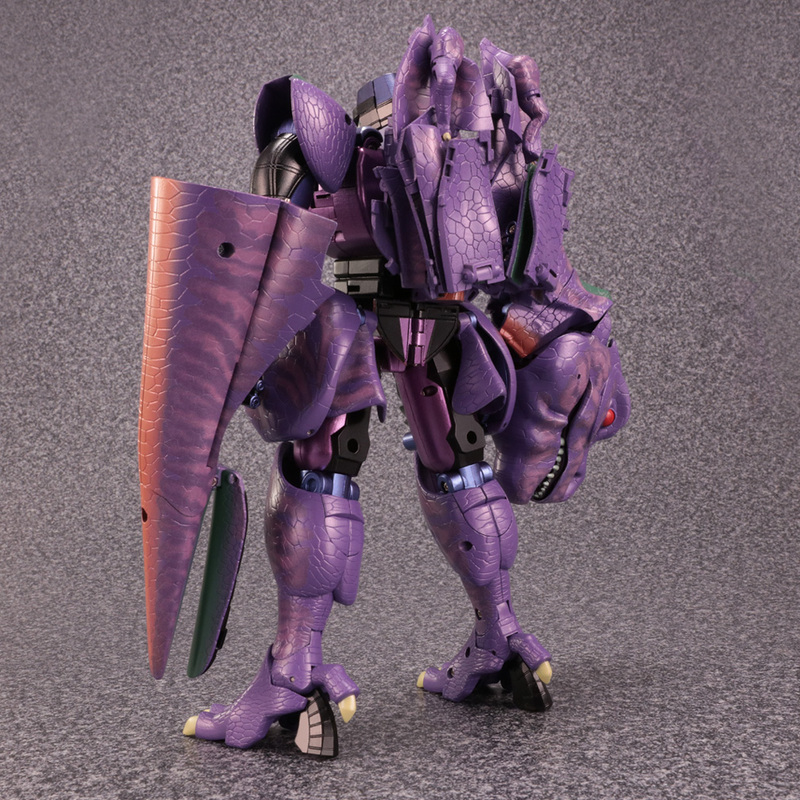 In robot mode the outside of the back folds up compactly for a clean looking silhouette. 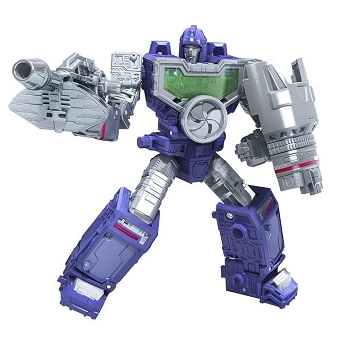 The size matches the set's volume. 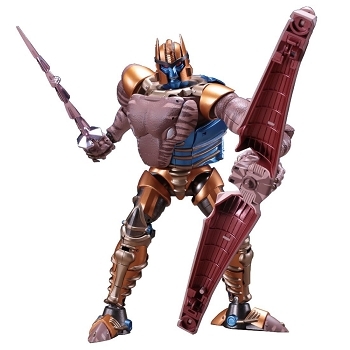 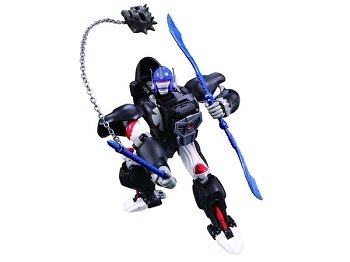 A special characteristic of this transforming toy is being fully posable. 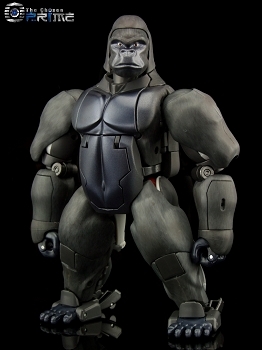 Remove the armor parts to recreate the basic light armor look. 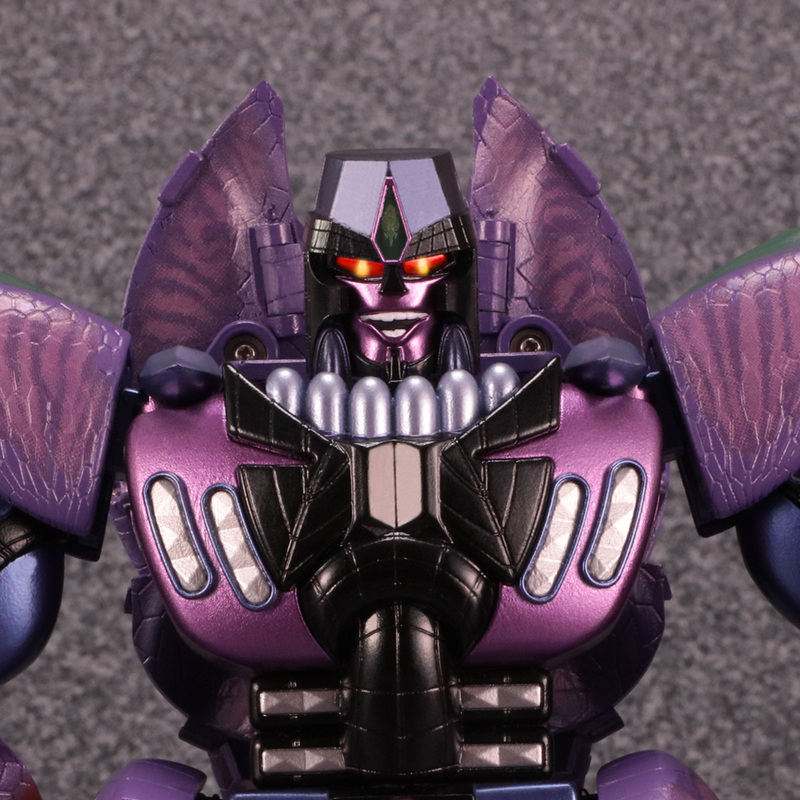 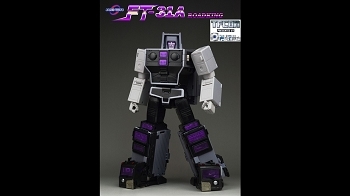 The biggest appeal for this one is that the voice actor of Megatron from 20 years ago, Shigeru Chiba newly recorded more than 20 sound clips for the talking gimmick. 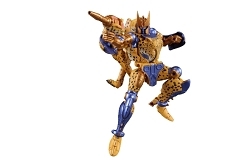 Feel the shape, voice, and soul in this Masterpiece figure for a new generation.